Home Trees and shrubs New South Wales and Queensland African Oil Palm Australian Fan Palm Bauhinia Coast Banksia Black Bean Curtain Fig Flamboyant Flame Of The Forrest Jacaranda Queensland Bottle Tree Queensland Kauri Rainforest tree Rattan Palm Red Cedar Saw Banksia Unknown tree No, I have no idea what kind of tree this might be, but I don't really care, either. 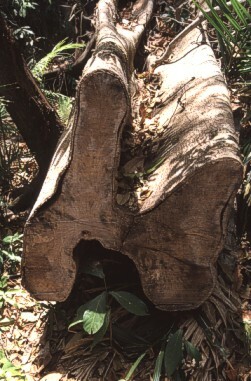 I photographed it because is shows quite clear the (to Europeans) unusual shape their trunks grow sometimes. This one was photographed near Lake Barrine.